The city of Pismo Beach has extended its existing ban on smoking in certain public areas to many new places, a regulation that will take effect this week and will subject violators to hefty fines. Pismo Beach previously restricted smoking in public parks and playgrounds and on the beach and pier, as well as near publicly owned buildings. Starting Thursday, outdoor dining areas in Pismo Beach will also become smoke-free zones. Additionally, the smoking ban will be extended to entryways to various buildings; farmers’ markets and special events open to the public; bus stops; ATM machines and other service areas; recreational areas like bike paths, hiking trails and sports fields; and unenclosed places of employment. Likewise, the ban on smoking will apply to sidewalks along Shell Beach Road and Five Cities Drive and in the downtown area. Vaping, too, will be prohibited in those areas. Violators of the smoking regulations will face $250 fines for the first violation and higher fines for repeated violations. 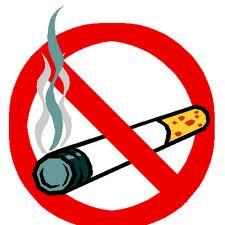 The city will install signs in the downtown area to notify the public about the new smoking regulations. City Manager Jim Lewis said the city’s goal is compliance, not citations.